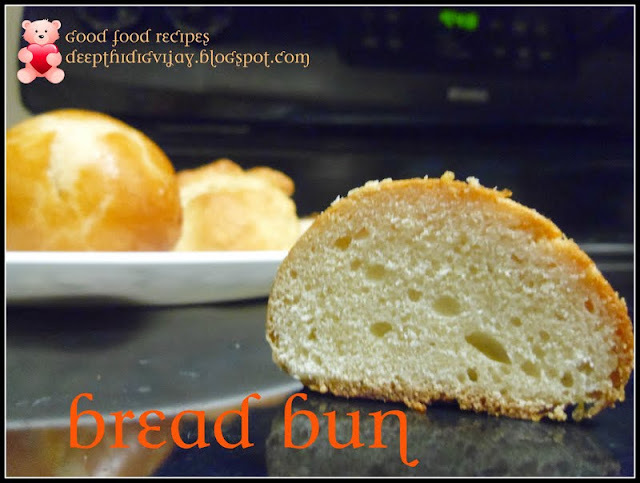 These are the delicious rolls, that are crisp out side and soft inside. 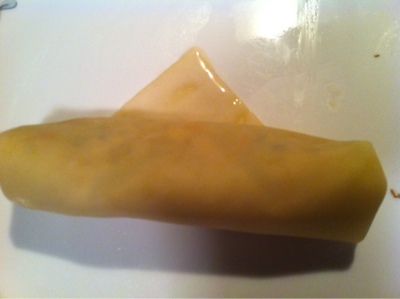 The filling inside the spring rolls can be made to our taste. I like Indian flavors so I prepared it in Indian style.here re the few tips for making the perfect spring rolls. Adding more spices will destroy the taste of the spring roll. Less amount of spices including salt will make you to enjoy the beautiful and unique flavor of a spring roll. 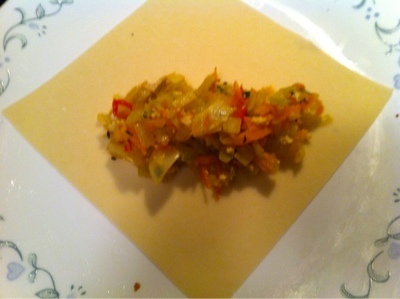 Do not stuff your spring roll with lots of stuffing mixture, just add a spoon full, it should be good. 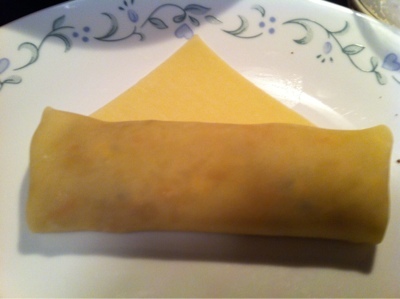 While rolling a spring roll, roll it tight so that no spaces are left inside the filling. While frying it try to fry it on a medium heat so that the inner part also gets cooked. 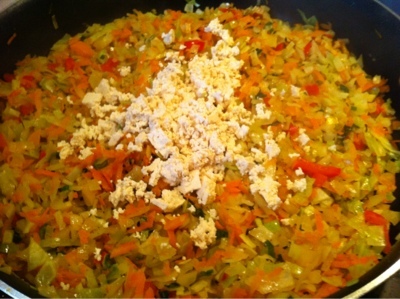 Heat oil in a pan and add all vegetables and cook by closing the pan, keep stirring them in between. when the vegetables are 80% done add ginger, garlic, cumin powder, salt and pepper powder. Addition of soy sauce is optional, if you would like to add 1tbsp should be enough. Mix all the ingredients well and cook in the open pan, allowing all the moisture to escape. The filling should look dry, if there is still any moisture left, keep stirring and cook it on medium flame till it becomes dry. Now take the curry and allow it to cool. 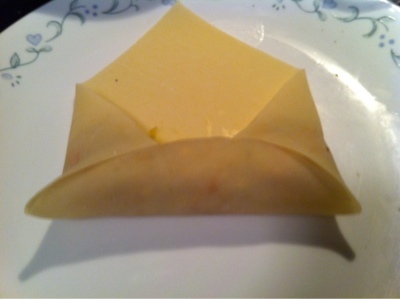 Take the spring roll sheets out of the refrigerator and cover them with a damp cloth, this will help them from drying out. 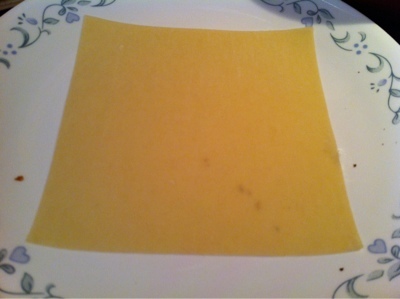 Now take one sheet and put the filling on one corner as shown, roll it tightly and stick the final edge with all purpose flour. 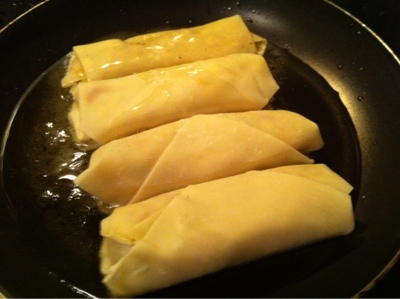 Heat oil in a skillet and fry them under medium heat and enjoy with ketchup/tomato sauce. Generally these spring rolls are deep fried, if you wish you can deep fry them either. 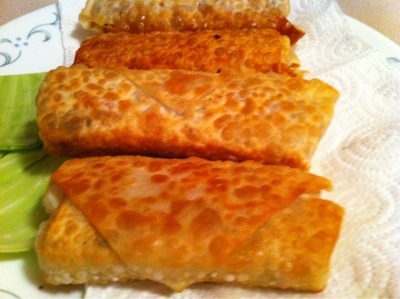 I'll post several variations on this spring rolls soon!!!!!!!!!!!! !till then keep visiting my blog. 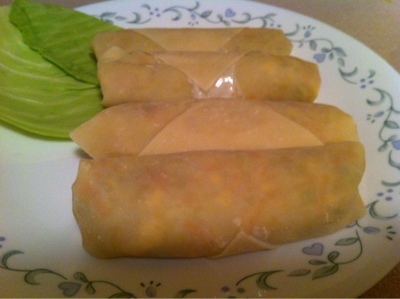 Yummy and delicious looking spring rolls. Excellent preparation. 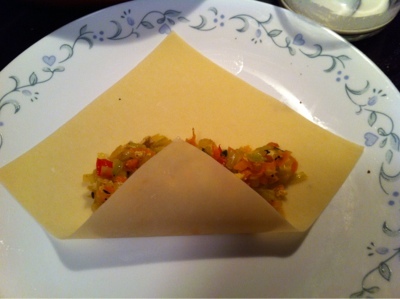 Like the India twist..delicious and perfect snack. 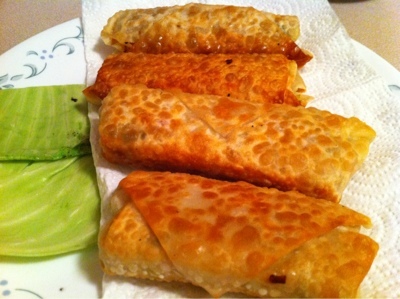 They look so delectable, nice pictorial steps too..
wonderful spring rolls !! love them ! !